Saturday, October 27th, The Santa Ysabel Gallery (30352 Highway 78, Santa Ysabel, CA 92070) will be hosting a Reception for Artist, Robert Treat from 4pm-7pm. The public is invited. There is no admission fee. Robert Treat was a 2017 award recipient of the Marjorie and Joseph Rubenson Endowment for Art and Science at Volcan Mountain. The Volcan Mountain Foundation is priviliged to honor the legacy of 'Marge and Joe' by administering the endowment, with the purpose of: Promoting public appreciation of Volcan Mountain and its beauty and enviromental diversity through art or scientific activities. The reception opens up Mr. 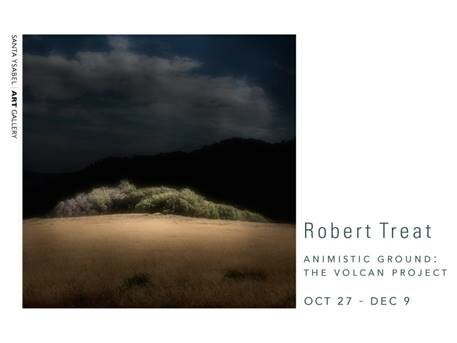 Treat's exhibition at the gallery--Animistic Ground: The Volcan Project--which will run until Sunday, December 9th. 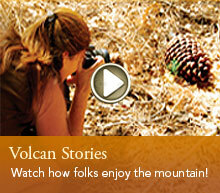 The project is an exhibition of photographs taken on Volcan Mountain by Mr. Treat throughout 2017. As a San Diego County, California artist and photographer, his paintings and photographs are exhibited and collected nationally. In his notes for the exhibition at the Santa Ysabel Gallery, Mr. Treat says of the project, "I have found Volcan Mountain to hold a wonderful mystique and quietness within its wildlands. In this project, I've explored this mystery and solitude by photographing its regions that are normally not open to the public."